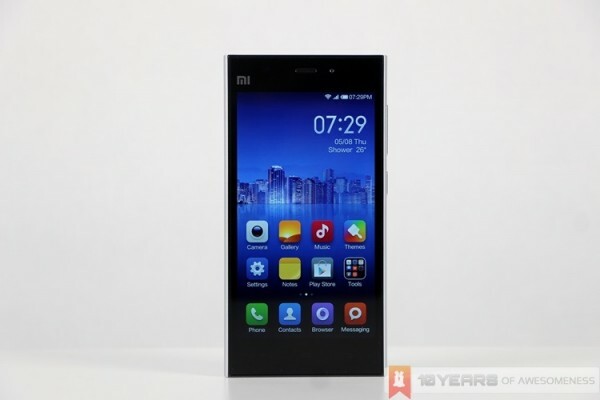 After announcing its postpaid bundle for the hugely popular new smartphone in town, the Xiaomi Mi 3, DiGi has now announced that the Mi 3 will also be available off-contract with a DiGi Easy Prepaid bundle. While many have criticized DiGi’s move to bundle the Mi 3 with a two-year contract, this prepaid bundle appears to be a lot more attractive. 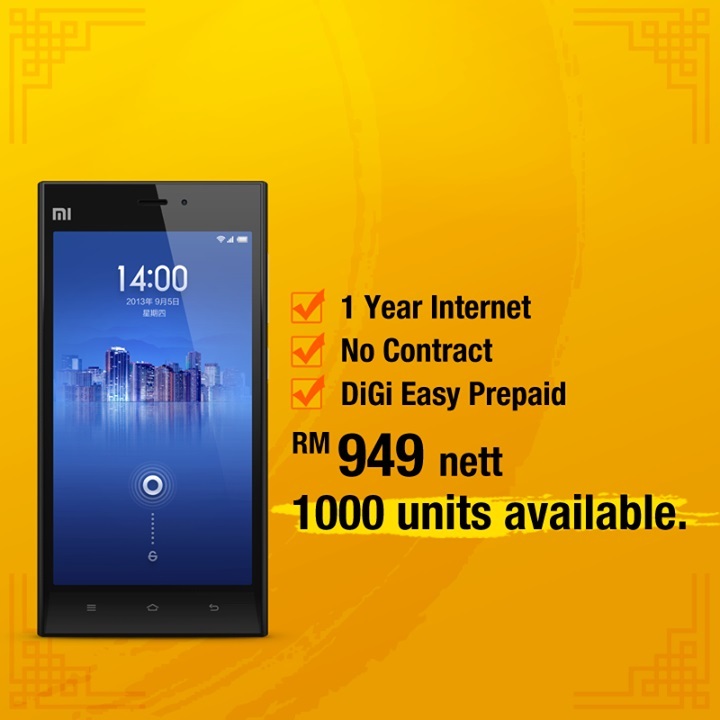 DiGi is offering the Mi 3 off contract at the same retail price as Xiaomi Malaysia’s RRP, which is RM889. In addition, the bundle also includes the DiGi Easy Prepaid pack and an additional 250MB mobile Internet quota per month for 12 months – all of which amounts to RM196.80 – at a promotional price of only RM60. Hence, customers will only pay a total of RM949 for the device and the prepaid pack. But of course, there are some points to take note of. First and foremost, this online-only promotion will only start tomorrow (May 29) at 12pm, and more importantly, there are only 1000 units available. Considering the rather long postpaid contract that customers will have to commit to with the postpaid bundle, this prepaid plan really seems to offer better value for money – and even more so when you consider the crazy inflated prices scalpers are pricing the Mi 3 at these days.